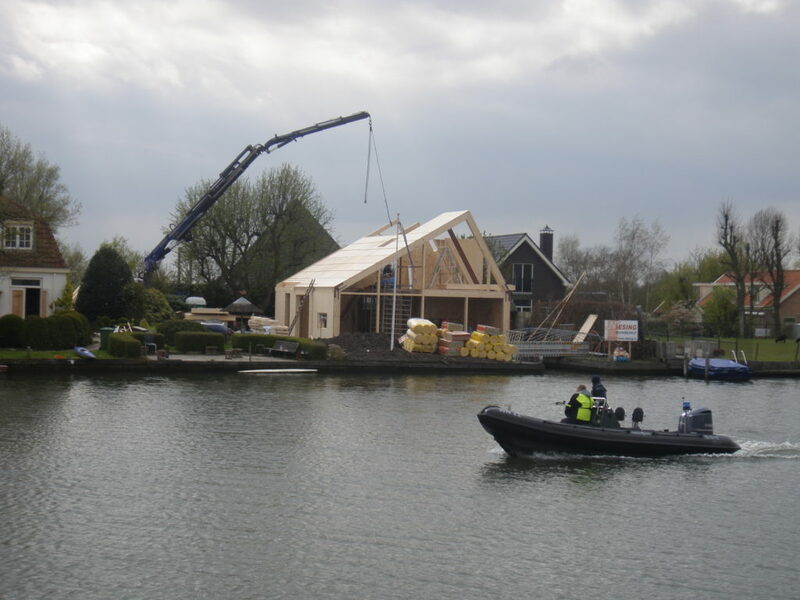 Weesp, Build of timber frame house "Parel aan de Vecht" - Niesing Bouwbedrijf BV. 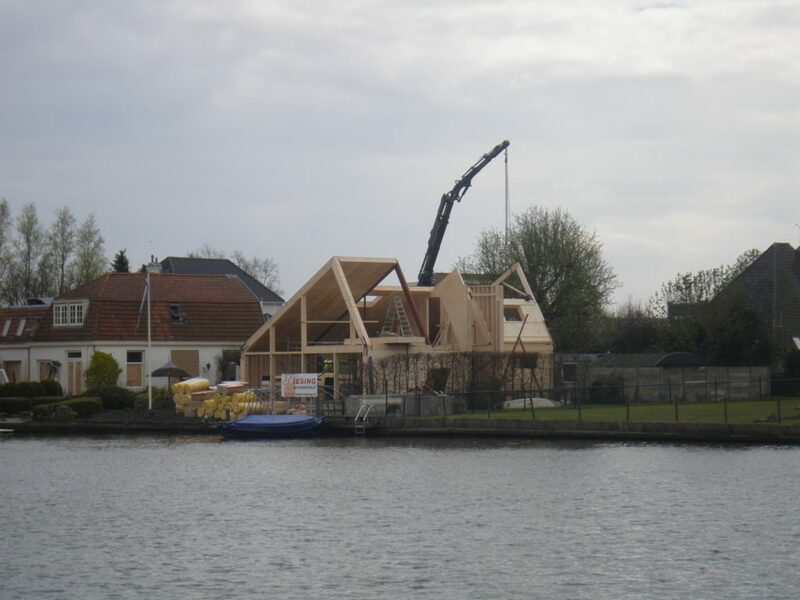 On a beautiful location directly on the Vecht, this timber frame house was realized by Niesing after a design by Jelle Post from Urk. The construction supervision was led by Paul Kamsma bouwbegeleiding from Driemond. 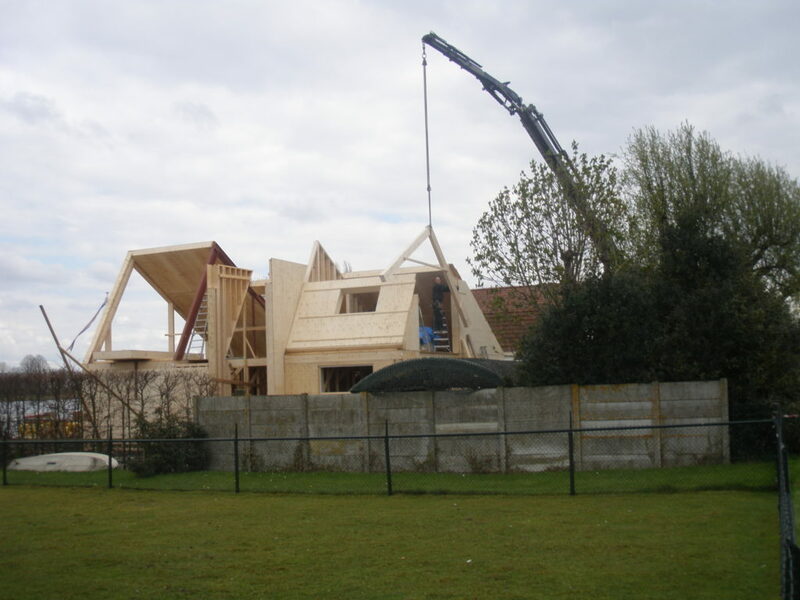 The walls and the roof boarding are manufactured in our own workshop and then assembled on site. The house is insulated and plastered. The house is also finished with a thatched roof covering. The cooperation in the construction team went well and led to a successful project. 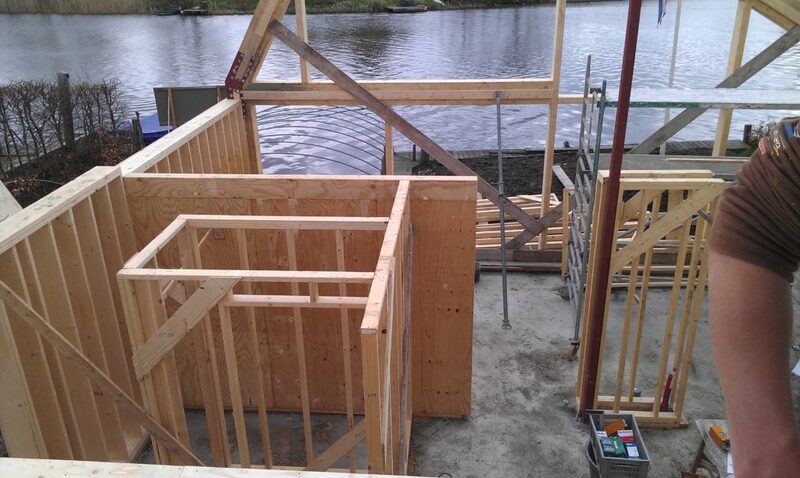 We also succeeded to finish the house within a short timeframe and within budget. The clients were very satisfied with the fine result.